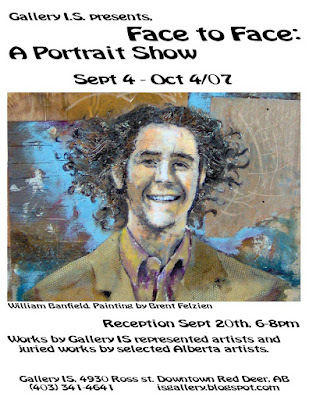 Our upcoming September exhibit is a new collection of portraits done by both Gallery I.S. represented artsists and juried work from selected Alberta artists. We hope you are able to come and see this great new show. The exhibit runs from September 4th to October 4th, 07. A reception is shedualed for September 20th, 6-8pm. The exhibit includes works in painting, bronze sculpture, ceramics and jewellery.